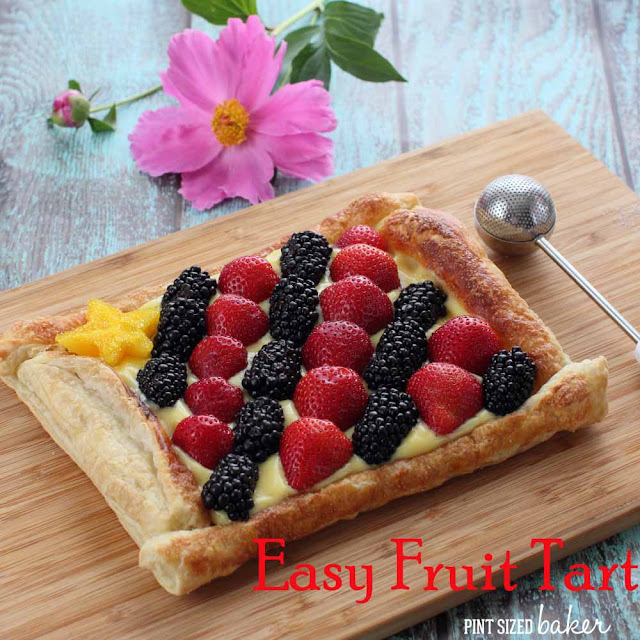 This Easy Fruit Tart is perfect for your last minute summer dessert. 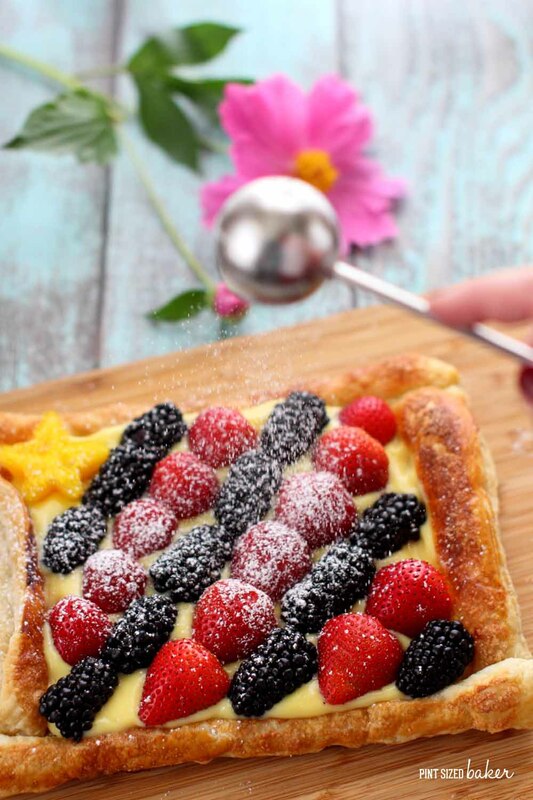 Puff pastry crust, some pudding and fresh berries makes this come together in a snap! 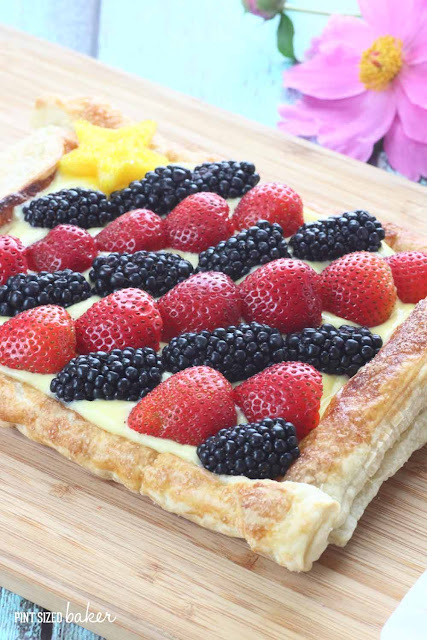 I’ve got an amazingly easy fruit tart that is perfect for summer entertaining and specially decorated for the 4th of July. I’ve used strawberries and blackberries with vanilla pudding for a red, white, and blue theme. The addition of the star fruit star was the perfect accent to make this perfect for your 4th of July dessert. Feel free to use berries of your choice. I’m sure any combination of berries would be great. Depending on how much you stretch the dough and how much your fold the edges over, you should get 9 – 12 slices from this tart. Everyone will need to gobble it up because it only good for about an hour. The pudding will soften the pastry shell and I didn’t think it was very good once the bottom got soggy. There will be some pudding leftover. Enjoy little pudding and fruit cup for dessert the next day or make pudding pops. It’s heating up and it’s not even officially summer yet. It’s 9:30 am and it’s already 84 degrees with 80% humidity. This mid-atlantic heat and humidity is just so oppressive. I can’t wait for pool time later today. My daughter has started swim lessons, so this mama will be in the pool enjoying the cool waters at 5 pm! Ahhhh!! Fingers crossed that there are no thunderstorms to rain out the fun that is planned. Unfold your thawed puff pastry and roll with a dusting of flour to prevent sticking. 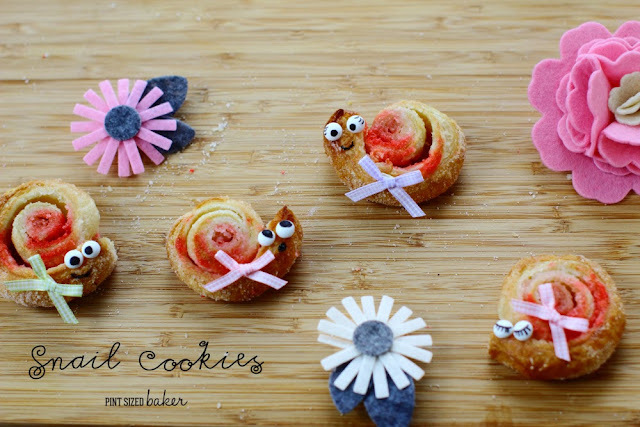 Place the dough on a cookie sheet lined with a silicon mat or parchment paper. Fold all 4 edges in 1 inch to create an edge. With a fork, poke several holes into the center of the dough. Bake the shell for 10 minutes, or until the edges are browned. For a darker, crispier shell, brush on a whipped egg wash. Allow to cool completely. Make your instant pudding according the directions, cover and refrigerate. Wash, hull, and cut your fruit in half. Dry and much as possible to prevent the juice from running in the pudding. 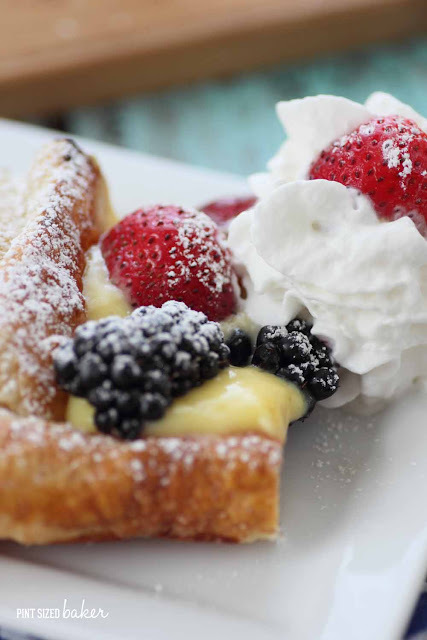 When ready to serve, spread about half of the pudding on the baked shell and add your berries. 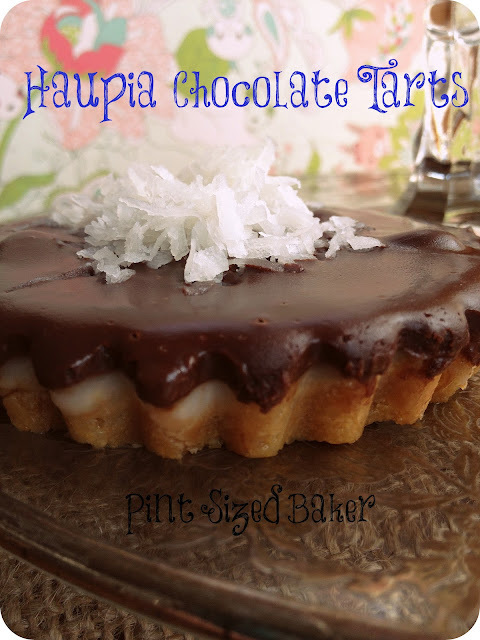 Serve immediately with a dusting of powdered sugar and whipped cream. The pudding will cause the tart shell to soften, so do not prepare ahead of time. 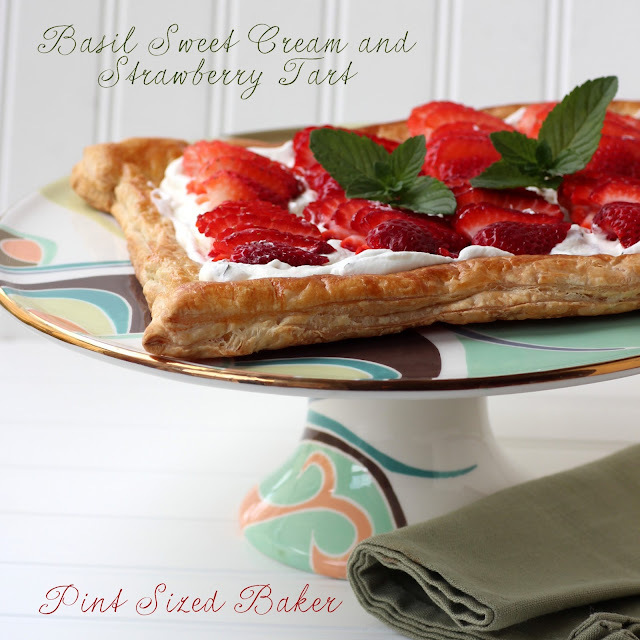 Here’s a few more easy recipes for you to enjoy!